DEA offers a wide range of solutions for housing the spools most commonly used at repair workshops, such as oil – used oil – water – air – antifreeze – washer fluid – electrical cable (from a minimum of 2 up to a maximum of 12 spools), including short modules with dispenser nozzle outputs from below, or else 2.5 metre modules with dispenser nozzle outputs from above. 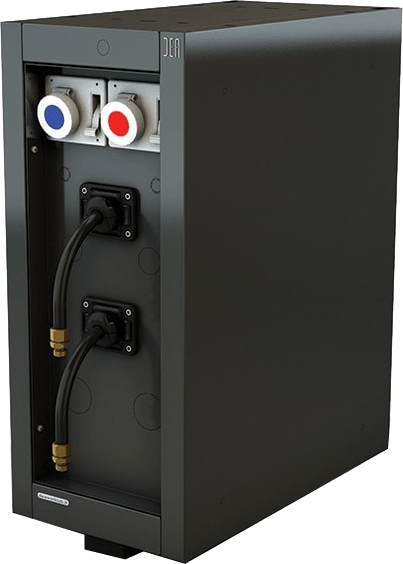 Each module features the necessary space for feeding the hoses and cables, thus ensuring perfect integration with the local systems. Double cabinet designed to house up to 6 spools in the upper part (oil, air, electricity) and 6 spools in the lower part, installed on a universal steel plate. The upper part of the cabinet is equipped with an inspection hatch, complete with a chrome-plated and polished handle in extruded aluminium. The lower part of the cabinet features a stainless steel drop collection tray, and a second compartment for installing another 6 spools. 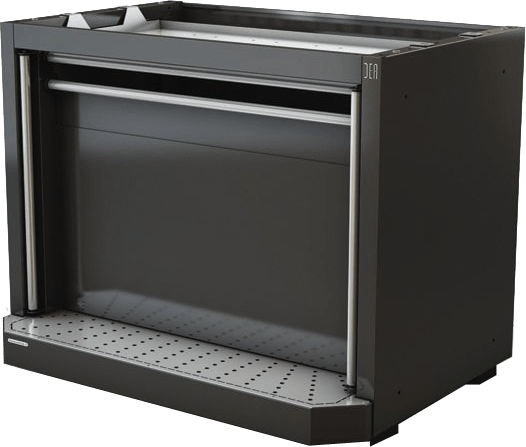 The module below features a front panel with chrome plated vertical and horizontal rollers, adjustable feet, and a removable stainless steel drop collection tray. All the module’s components are epoxy powder coated. The structure has pre-cuts in the upper and rear zones that can be easily opened during the installation phase in order to feed electrical wires or air hoses into the sides of the cabinet. Possible to feed cables and hoses for connecting to local systems. Facilitated install and maintenance thanks to easy access to spool compartment. Double cabinet designed to house up to 6 spools in the upper part (oil, air, electricity), installed on a universal steel plate. The upper part of the cabinet is equipped with an inspection hatch, complete with a chrome-plated and polished handle in extruded aluminium. 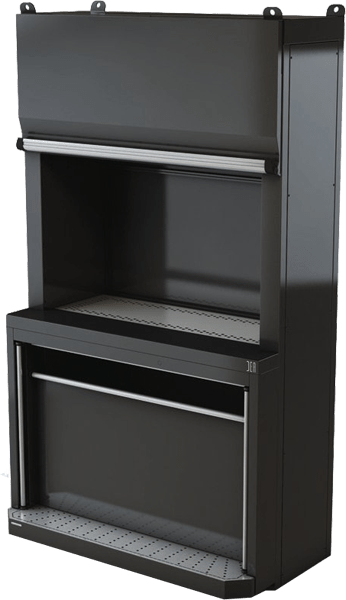 The lower part of the cabinet features a stainless steel drop collection tray, and a high-capacity cabinet with two doors. All the module’s components are epoxy powder coated. 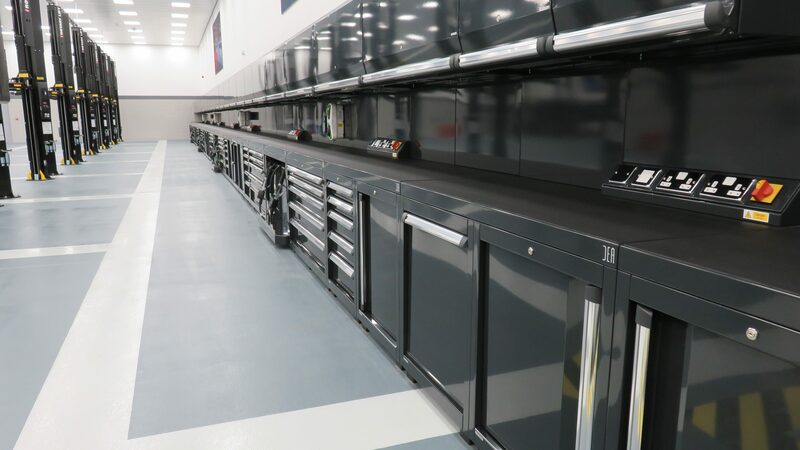 The structure has pre-cuts in the upper and rear zones that can be easily opened during the installation phase in order to feed electrical wires or air hoses into the sides of the cabinet. 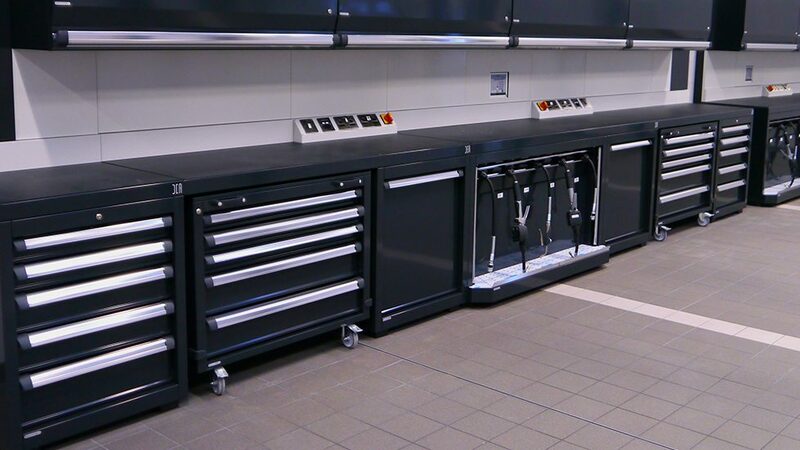 Double cabinet designed to house up to 6 spools (oil, air, electricity), installed on a universal steel plate. 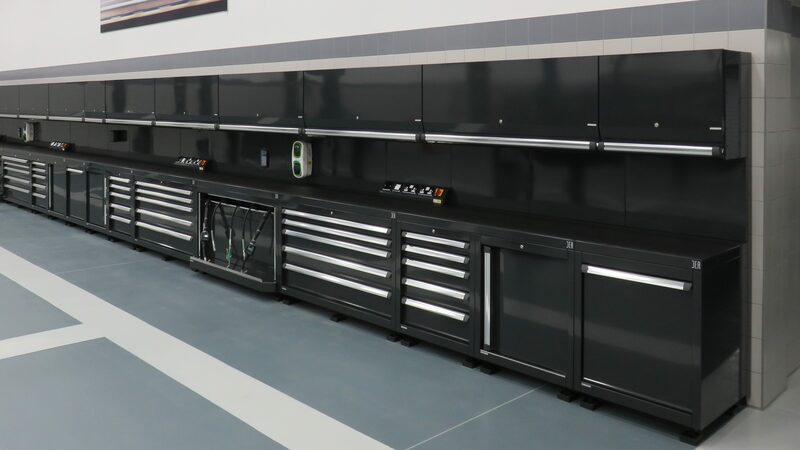 The cabinet is equipped with a front panel with chrome plated vertical and horizontal rollers, adjustable feet, and a removable stainless steel drop collection tray. All the module’s components are epoxy powder coated. The structure has pre-cuts in the upper and rear zones that can be easily opened during the installation phase in order to feed electrical wires or air hoses into the sides of the cabinet. Removable drop collection tray to facilitate emptying operations. Cabinet designed to house up to 4 spools (oil, air, electricity), installed on a universal steel plate. 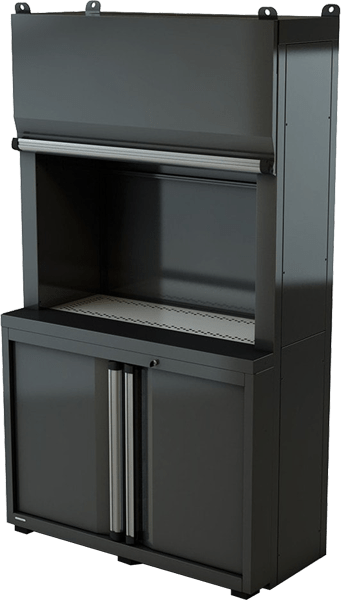 The cabinet is equipped with a front panel with chrome plated vertical and horizontal rollers, adjustable feet, and a removable stainless steel drop collection tray. All the module’s components are epoxy powder coated. The structure has pre-cuts in the upper and rear zones that can be easily opened during the installation phase in order to feed electrical wires or air hoses into the sides of the cabinet. Single cabinet designed to house up to 3 spools (oil, air, electricity), installed on a universal steel plate. 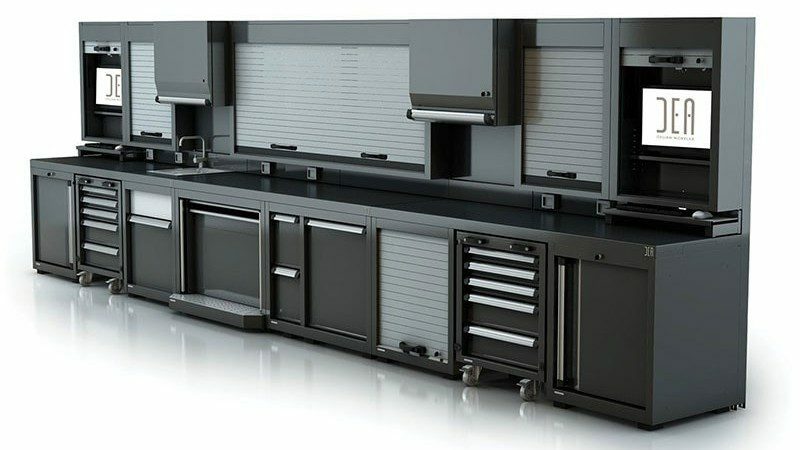 The cabinet is equipped with a front panel with chrome plated vertical and horizontal rollers, adjustable feet, and a removable stainless steel drop collection tray. All the module’s components are epoxy powder coated. The structure has pre-cuts in the upper and rear zones that can be easily opened during the installation phase in order to feed electrical wires or air hoses into the sides of the cabinet. 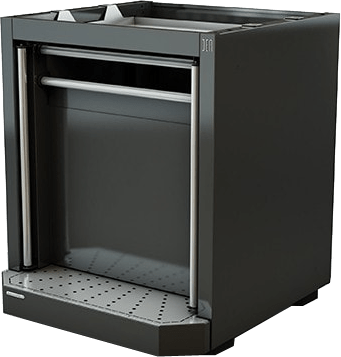 36 cm wide module complete with an extractable drawer capable of supporting up to 2 spools (air, electricity, or water) and two electrical outlets (industrial or residential). 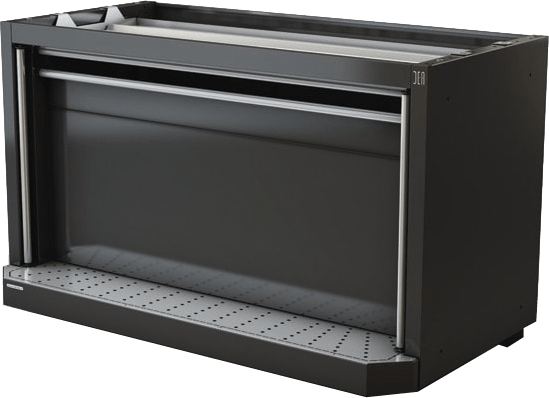 The extractable drawer provides for easy installation and maintenance. The front panel is equipped with openings with horizontal and vertical rollers for spools, and is predisposed to house two electrical outlets. All the module’s components are epoxy powder coated. The structure has pre-cuts in the upper and rear zones that can be easily opened during the installation phase in order to feed electrical wires or air hoses into the sides of the cabinet. Facilitated install and maintenance thanks to extracting drawer.